Sarazanmai just kicked off and it is 1000% Ikuhara from the start and shows no signs of stopping. At this point you can pick out some of the major themes he is going to examine and guess and some others but betting on details specifics is a fool’s wager. Heck, even after an Ikuhara show has finished fans will be debating points about it until the end of time. 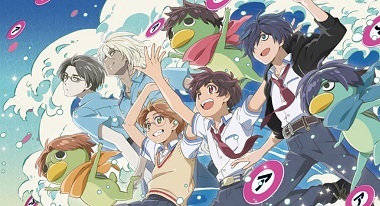 I myself have watched the first episode of Sarazanmai three times in an attempt to try to find some of the obvious threads to pay attention to as well as hopefully catch some of the more subtle paths as well. I did notice something I was not excepting that gave me a new insight into Ikuhara as a storyteller. 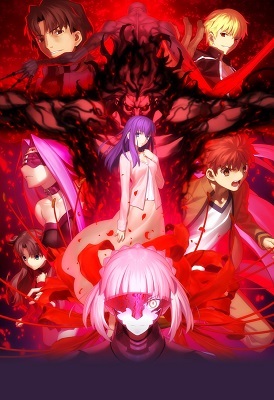 I was going to start with my review of the second Heaven’s feel movie with this history lesson but when I realized how long it was I decided to make it its own post that I would put up before the actual review. I know for some people this is common knowledge but the heyday of visual novels is in the distant past enough that it is worth talking about for some better context for one of my main points in the review. I saw Penguin Highway in theaters during the New York Int’l Children’s Film Festival. I was sitting next to two women in their late 20s who were discussing where to get artisanal haircuts. If that does not paint a picture of who was sitting next to me I’m not exactly sure what will. After the movie ended one of them commented that the story distinctly had the feel of what she expected from one of those “Japanimation cartoons”. Before I say anything else I do have to address the elephant in the room: I’m just as shocked as you that anyone still says “Japanimation cartoons” let alone two young women. But it does give you a sense of how Penguin Highway feels very different when your baseline for anime is just seeing Ghibli movies and Adult Swim shows. That said I would argue that Penguin Highway falls into that realm of your stereotypical “anime” either. That is a fairly weighty statement to make so I think it requires some justification beyond “Penguin Highway gets lots of critical praise so it has to be different.” Let us see if I can back up my claim.